A growing area of the business, we have a range of catering uniforms, chefs uniforms and jackets and aprons available to restaurants, pubs and other food outlets. The vast majority of chef and catering uniforms bought online are white accompanied by one of our black trim options or just plain black without any trim. 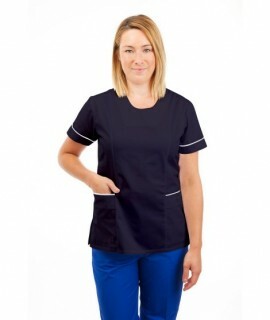 However, like our nurses uniforms, we can provide chefs uniforms and chefs jackets in a range of colours and accompanied by one of over 30 different types of coloured trim if required. If you would like to customise a chef’s jacket, please contact our Customer Care team directly at 1890 930 080. All of our catering jackets are unisex and suitable for both men and women. 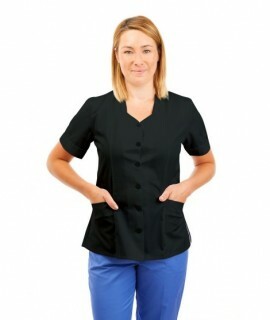 With a choice of short and long-sleeve options available, sizes range from XS – XXL and, like all our uniform lines, our catering jackets and aprons are manufactured with quality, comfort and long-lasting value in mind. A Bulk Buying discount, free delivery on two items or more (this offer does not apply to sale items or trousers) and our ‘No Quibbles’ returns policy are just some of the extras available with all catering items.